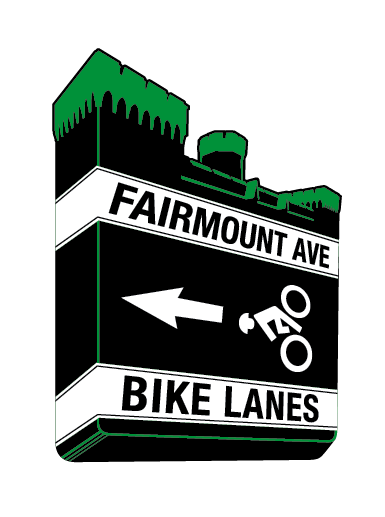 Spring Garden Civic Association and Francisville Neighborhood Development Corporation will take votes on the Fairmount Avenue Bike Lane proposal next week and the week after. If you live within the catchment area of Spring Garden or Franvisville, you can participate in a vote. Even if you don't, both meetings are open to the public and we encourage you to attend to demonstrate community support. Next week, Charles Carmalt (the City's Bicycle and Pedestrian Coordinator) and the Bicycle Coalition will present before the Spring Garden Civic Association. We are scheduled to present after Council President Darrell Clarke, who will be speaking about the proposed casino, AVI, crime cameras, and more. On Monday, February 25th, we will present for a second time in front of the Francisville Neighborhood Development Corporation. This time, we anticipate a vote will be taken.